The English Wilton Company just completed an installation in Cobble Hill, a neighborhood in Brooklyn, New York that's filled with brownstones and other historic buildings. I was the consultant and helped the homeowners select an appropriate pattern for the large double parlor, entry hall and stair cases. This was a challenge, as the house was built in the Neo-Classical/Greek Revival style, but then remodeled extensively in the 1850s as an Italianate. And to top it off, the owners had been collecting Federal and early Empire furnishings for decades, and wanted a carpet that was harmonious with their antiques. 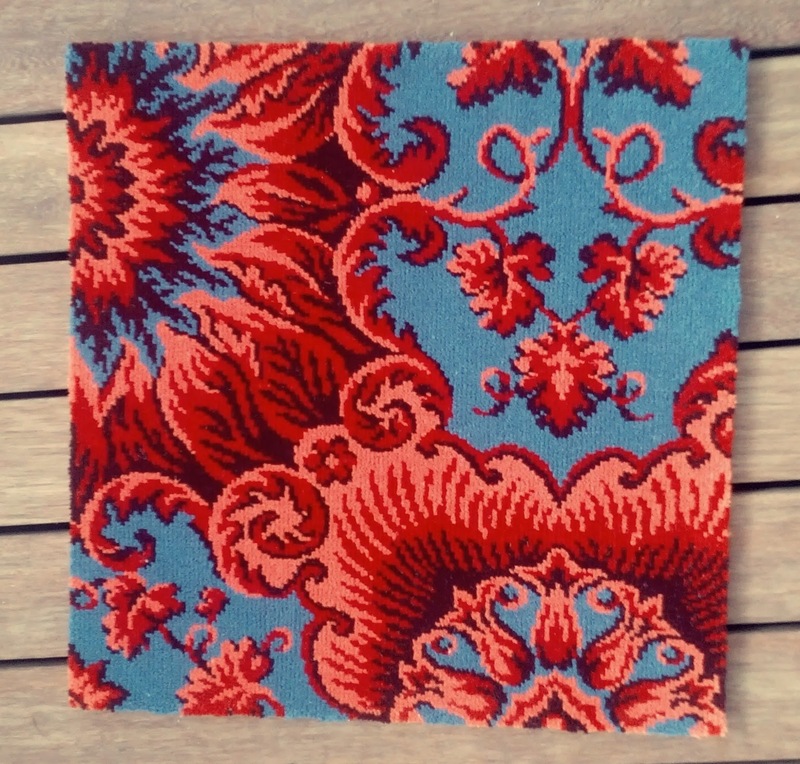 We went through all of the archival patterns dating from 1790-1860, and decided on patterns from around 1820 that had the delicacy of the Federal period but also featured the large medallions that were to become the hallmark of Greek Revival interiors. As wilton and brussels carpets are very sturdy and long-lived, it would not be unusual to see one still on the floor in the 1850s, and thus the narrative we were creating could be authentic. Once this is approved, it's off to the looms, and 10 weeks later, your carpet is ready to be installed. The entire production process typically takes only 12 weeks from start to finish. 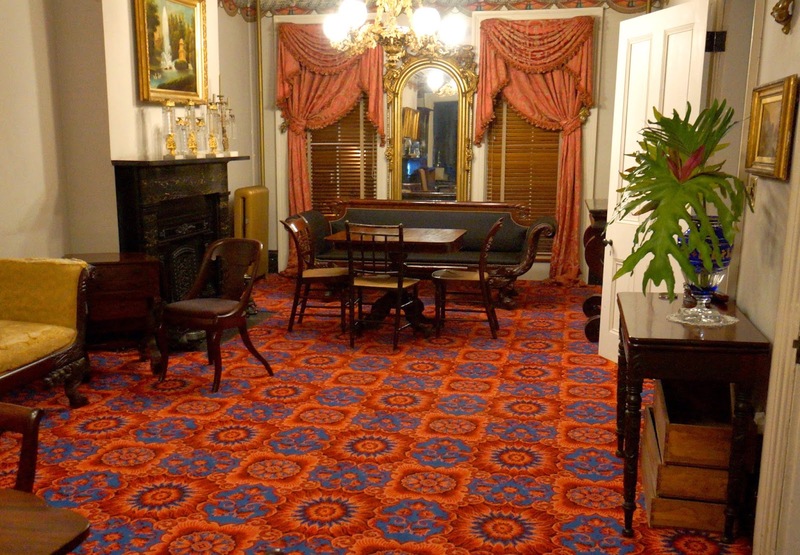 The Historic Carpet and Rugs Blog is an informal journal of my work as the historic floor-coverings consultant for The English Wilton Company of Portland, Maine, which is the preeminent resource in North America. The firm's owner, Kathleen Blake, and I have well over 45 years of combined experience providing Wilton, Brussels and Axminster carpets to museums, state capitols, governor's mansions and private homes. We utilize archives that contain thousands of authentic patterns dating from 1790 through the present, which include the Regency/Federal, Neo-Classical, Victorian, Edwardian and Arts & Crafts styles. English Wilton is renown as the most trusted resource for delivering reasonably-priced reproduction historic carpets and rugs in a prompt and timely manner.